When I was younger, I remember my Nan getting my Dad soap-on-a-rope (Old Spice, if memory serves correct...) almost every year for Christmas. That got me thinking that you just don't see enough soap-on-a-rope anymore, but then that also go me thinking that maybe, nobody really needs soap-on-a-rope.... Maybe I just think about soap too much? 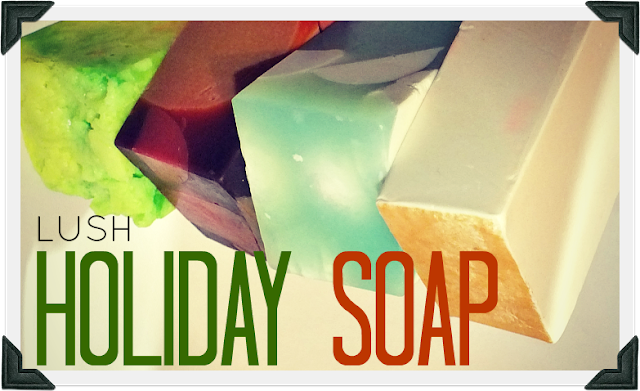 I can't help it though, I've been busy suds-ing it up with a few of Lush's holiday/seasonal soaps! 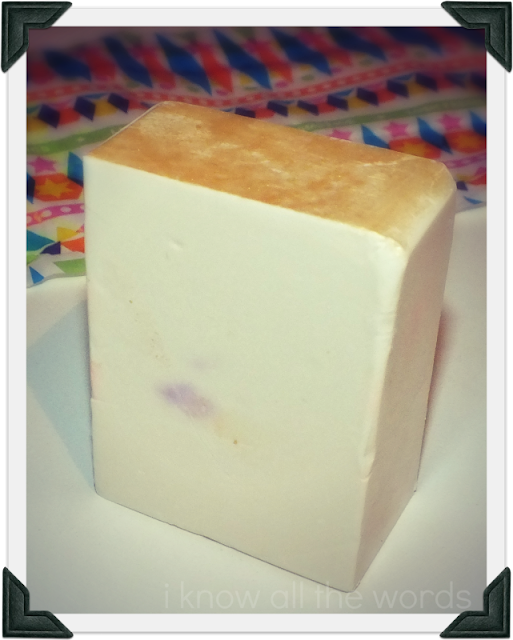 Snowcake is a very girly looking soap, with it's pale, creamy colour and shimmering gold topping. I didn't find the scent to be as sweet as I expected based on the description, but it does have a hint of almond and an almost spice/floral note. This soap lathered quite nicely and felt creamier than the others, but my skin didn't feel moisturized after use, so this doen't really impart any hydration, but it didn't leave me feeling stripped either. 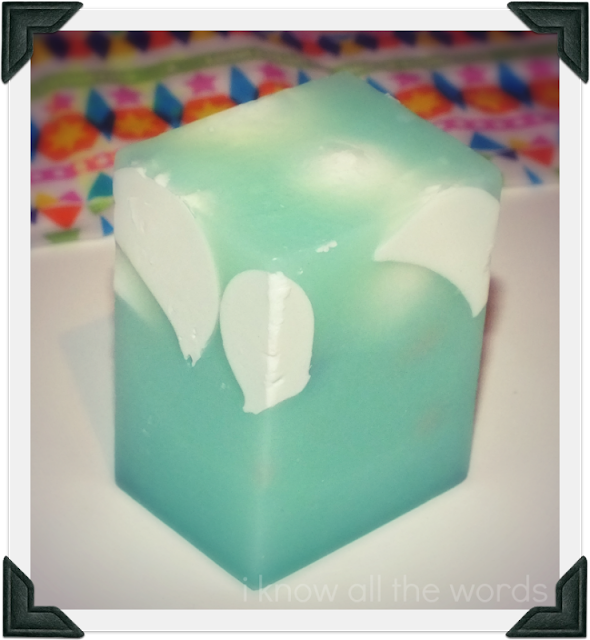 Snow Globe is an aqua hued soap with round white bobbles floating in it's upper half. 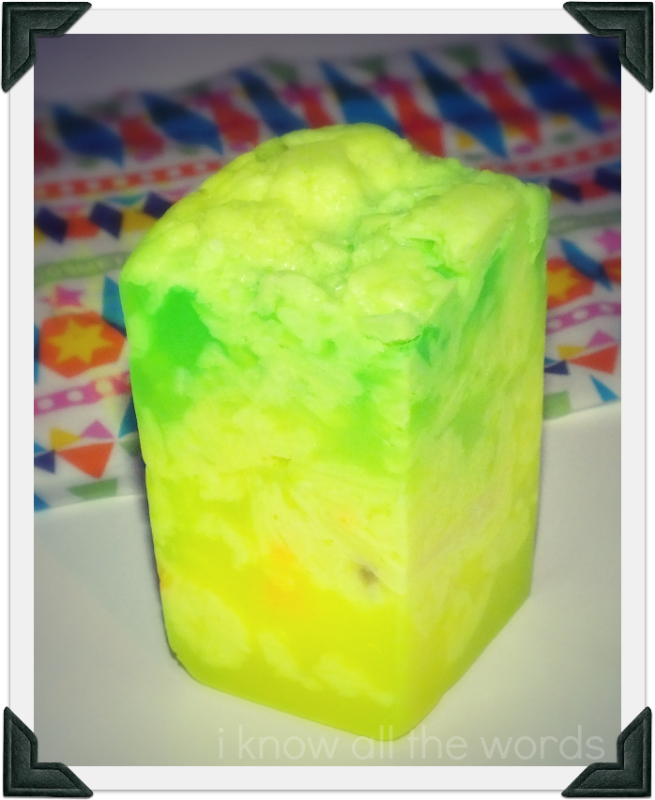 It has a fresh citrus/lemongrass scent that is quite uplifting and clean. While it has been unseasonably warm here, and the layer of snow we had has long melted, I'm quite pleased to have my own snow globe in my shower. This soap lathers wonderfully and leaves skin lightly scented. This also seems to have left my skin feeling the slightest bit moisturized as well. A definite plus! Mr. Punch really does look like a punch bowl with it's multi coloured floaters and even an exposed juniper berry or two. The scent of Mr. Punch is fruity without being overly sweet and you really can smell a bit of the gin! I didn't think I'd care for the gin scent, as I'm not a huge fan of it, but it works really well together here. 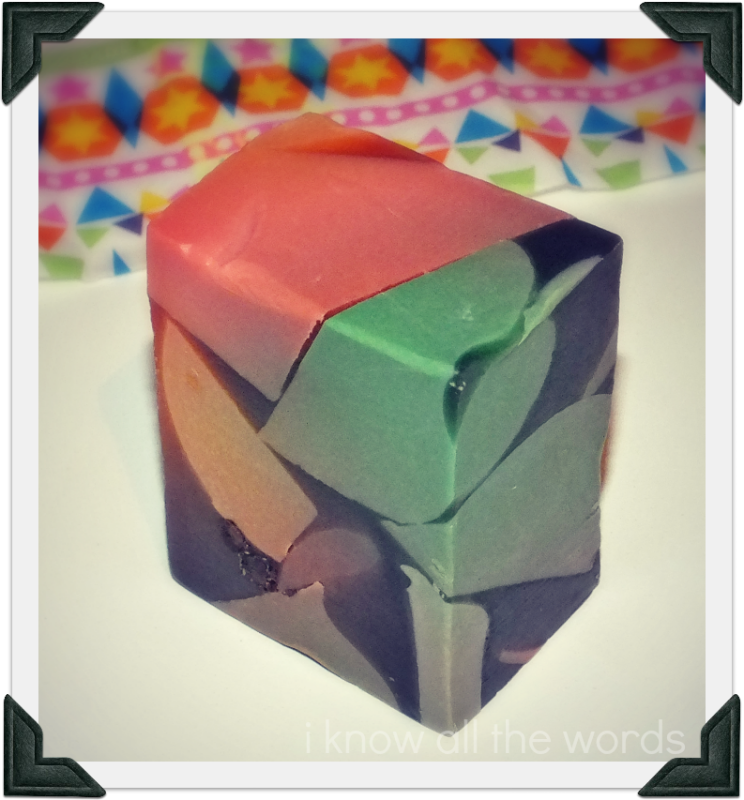 Out of all the soaps, this one really made my whole shower/bathroom smell fruity. Like the others though, it lathered with ease and left a slight fruity scent on skin. As the juniper berries started to poke through, they almost acted as an exfoliator, which is an added perk as well! 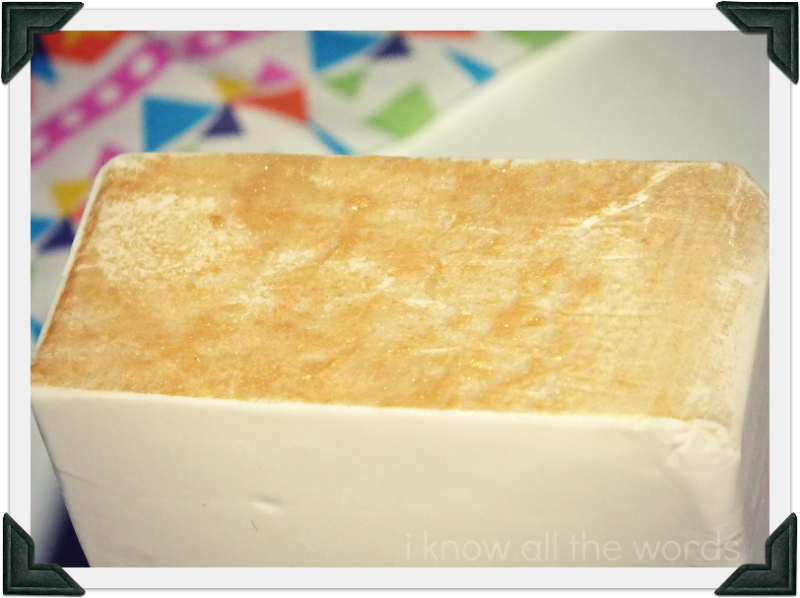 I'm normally a shower gel type of gal, but Lush has totally made me swoon over their bar soaps! Do you have a favourite Lush soap?